Looks like something you'd find tucked in the bottom of an antique dresser drawer, except it depicts in accurate detail the features of a horse's eye - the iris, pupil, and of course the unusual looking Corpora Nigra, which is said to reflect the sun's rays away from the pupil. Glass domed pendant measures 1" across. Chain is 24"
I am no scientist, but I have always had a fascination with the structures of a horse's eye, so I had these necklaces made up by one of my favorite vendors - Lizabettas. 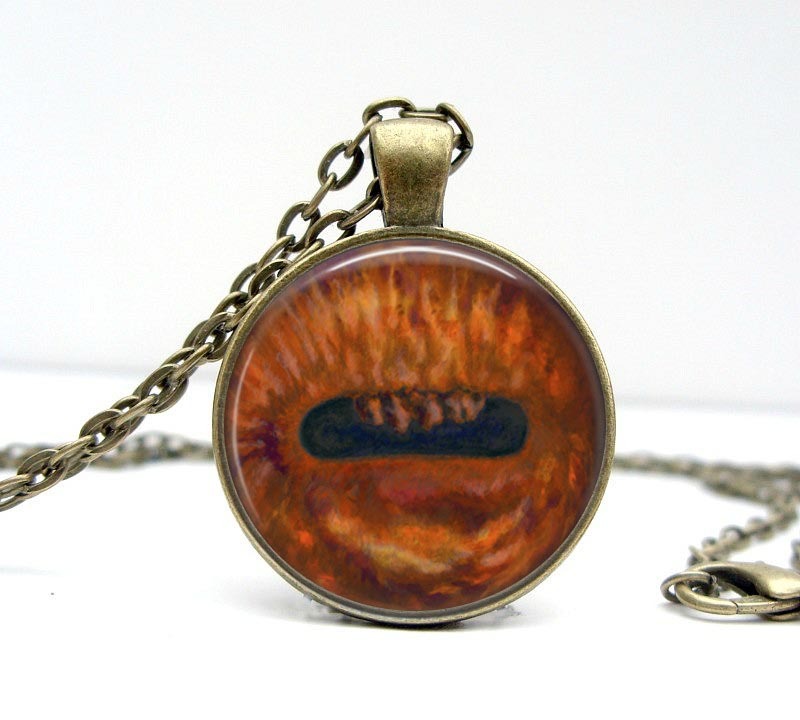 These necklaces look like something you'd find tucked in the bottom of an antique dresser drawer, except this new version depicts in accurate detail the features of a horse's eye - the iris, pupil, and of course the unusual looking Corpora Nigra, which is said to reflect the sun's rays away from the pupil. Lizabettas lovely jewelry is made one piece at a time. The glass dome covering the picture is NOT a separate component that's fastened into the bezel. An assembly process that, at first blush, might seem rather simple. On the contrary - it's actually a special resin compound that comes in liquid form - and Tiffany pours the exact correct amount into each one - to encase and preserve the picture permanently within the pendant. I can't imagine how messy this process could be - she must have it mastered as I have never, ever received a piece from her that wasn't absolutely perfect. The new Horse Eye Necklace, is available in four different chain colors for a limited time. Once I sort out which color is the favorite then the others will be discontinued, so if you have a particular affinity for brass, copper, gunmetal or silver you may want to order now. Want more horse eye info? There's a fascinating account "Windows to the Soul" by equine artist Kim McElroy describing how she renders the beautiful horse eyes in her paintings here.